Louise Park, one-half of bestselling author Mac Park (together with Susannah McFarlane), tells us why their new series, D-Bot Squad, will catch kids’ attention and turn them into enthusiastic readers, plus keep them reading. 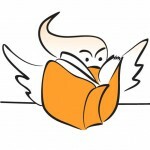 Mac Park books are first chapter book series, focussing on that vital, make or break, stage in a child’s reading journey. Research tells us that reading success is critical for educational success, and we know that if we hook them early and keep them there, their confidence and reading competency soars. Equally, we also know that some books can erode rather than build reading confidence. That’s why we are so focused on creating books we know kids can read and want to read. Mac Park’s new series, D-Bot Squad, where kids build dino-bots to round up real dinosaurs, combines un-put-down-able content and success-oriented readability. One story, across eight titles, each with a cliff-hanger ending, keeps readers reading and engaged— that ‘needing to know what will happen next’ propels them forward with reading like no other literacy device can. It’s a great way to get even the most reluctant reader to read eight books, giving them real reading momentum and a huge sense of achievement and success. Our main and supporting characters reflect children’s image of themselves and what they aspire to be. The storylines thrill and captivate—and make them laugh! Children love the comfort and familiarity of series fiction, plus this is a topic that they’re really enthusiastic about. The illustrations engage, and support visual literacy experiences. We use labelled diagrams to extend the text in an accessible reader-friendly format. The books include graphic novel spreads between D-Bot members and the dinosaurs allow for maximum high-interest impact while telling critical parts of the narrative in an economical use of words. It all adds up to a series that kids will love, and parents and teachers can trust to help kids not just learn but love to read. 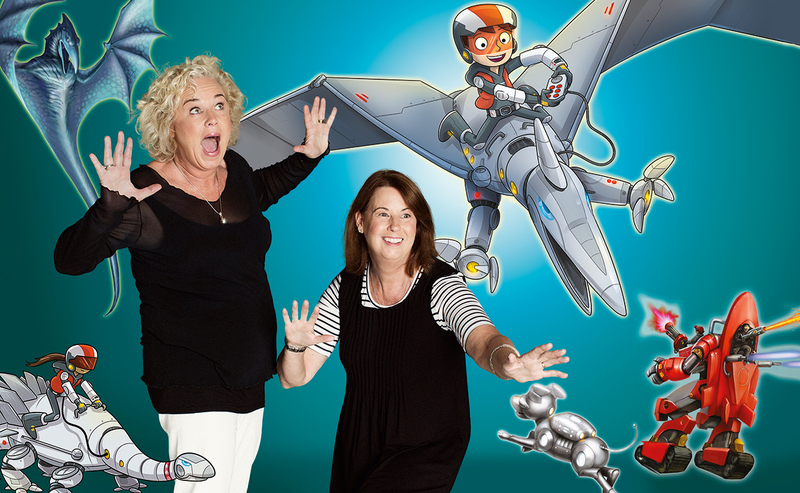 We hope you will enjoy reading D-Bot Squad as much as we enjoyed creating it. Learn more about D-Bot Squad on Mac Park’s website and check out the fun we had with a dinosaur delivery to bookstores earlier this year.